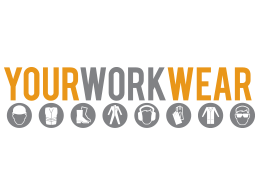 Before returning any items; it is absolutely essential that you send an email to: info@yourworkwear.co.uk and obtain a unique Customer Returns No. from us before you send the goods back. Please make sure that you include your Invoice No. in all correspondence. On receipt of your email, our Returns Department, will contact you with advice on how to send the garments back. We will accept returns up to 14 days after the invoice. Please note that this is for non-embroidered items only and if it is after 14 days, these returns will be subject to a 15% Restocking Fee. Please Note: The original cost of the carriage is NOT refundable. We will only accept embroidered items back if the item is faulty with a manufacturing defect. If you wish to return an item back to us you must clearly state your Invoice No. Please note that we will not accept any returned items without this information.